The Albanian-Jewish community living in Israel celebrated the Independence Day last week. "Today we celebrate the Day of Independence. For many years of joy," writes Felicita Jakoel on her Facebook page, head of Israel-Albania Friendship Association. 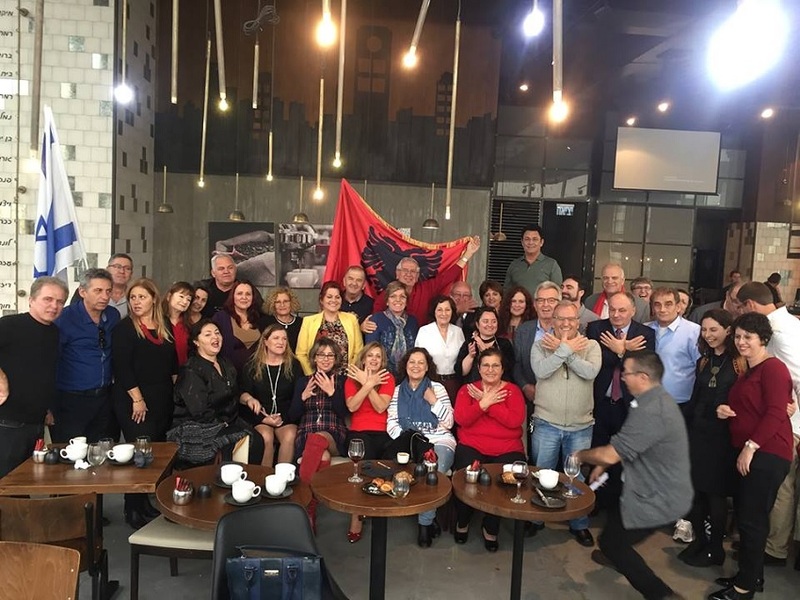 With the hands that form the eagle and the red flag, although they left Albania in the early 1990s, they did not disconnect the connections with their second homeland. The event was organized in cooperation with the Albanian Embassy in Israel. The Albanian Ambassador Bardhul Canaj and the Honorary Consuls of Albania in Israel were also present. Felicita Yakoel, opened the opening ceremony highlighting the very positive relations between the two countries and the impact of the community in the state of Israel. Further, Ambassador Bardhyl Canaj welcomed the guests and praised the special role they have played in intensifying diplomatic relations in the field of business, art and culture to further strengthen the ties between our two friendly countries that unite the values of gratitude for the contribution of Albanians to the salvation of Jews during World War II. The activity was also attended by the leader of the US Jewish Community for Israel, Avital Leibovic, who visited recently Albania and Kosovo; and Vice President of Raoul Walleneberg Foundation, Danny Rainer.